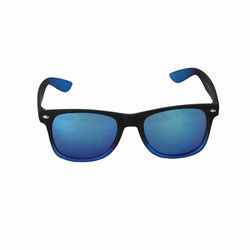 Salvatorio delivers trend and smart class by bestowing Men Wayfarer Blue Sunglasses. Flaunt your vivacious persona and earn loads of appreciation from your near or dear ones. On any special occasion, you can also gift these designer sunglasses to your near ones.